This sample itinerary is just a start to the countless combination of Alaska adventures waiting in Anchorage. Rise early and start the day off right with a yummy breakfast. Hometown restaurants are the perfect place to try an Alaska twist on traditional favorites. Order King Crab Benedict or a stack of sourdough hotcakes. Rent a bike or stroll along the Tony Knowles Coastal Trail to enjoy spectacular views of Cook Inlet or take a shuttle to a trail head in the Chugach State Park. 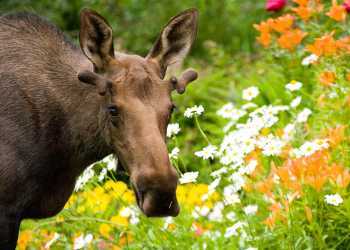 Wildlife like the trail almost as much as humans; you may see one of the more than 1,500 moose that live in Anchorage. Grab a bite of Alaska at one of the many sidewalk vendors along the downtown streets. Enjoy a salmon quesadilla or reindeer sausage and a feast for the eyes at the same time; the city’s parks and sidewalks are filled with huge flowers blooming in the long summer sun. After lunch, get an eagle eye view of those mountains on the horizon. Flightseeing from Lake Hood or Merrill Field is an amazing experience and an excellent way to see the sight. With more pilots and planes than anywhere in Alaska, there’s a seat for you. 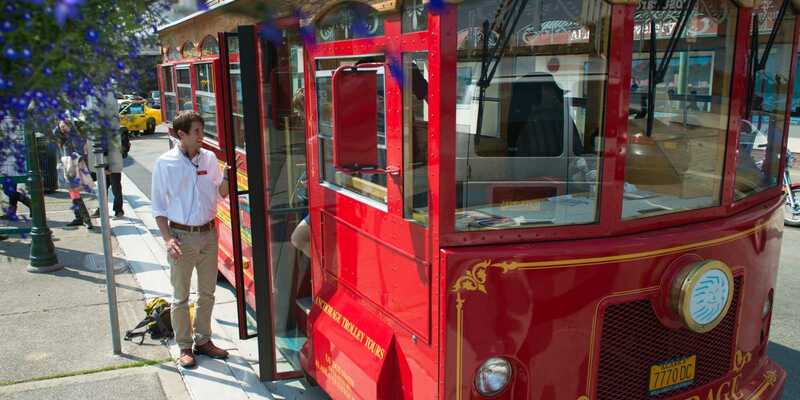 Learn more about Anchorage on one of the many city walking or trolley tours. Tour options include historic Anchorage, culinary delights, ghost tours and more. Many restaurants offer outdoor seating or decks with views of Cook Inlet and the Chugach Mountains. Be sure to try a microbrew from one of the many breweries in Alaska. Stay up late with the midnight sun!